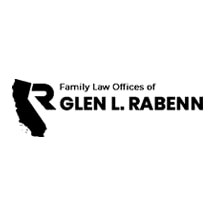 Family Law deals with especially sensitive issues that can have life-long emotional and financial effects. It is a specialized area of law, requiring specific training in negotiation and litigation skills, taxation, property and business evaluation, as well as a knowledge of constantly changing rules and procedures. Dissolution of Marriage: We guide you carefully through the legal steps and help you resolve your personal concerns with the goal of achieving a fair and equitable agreement. Children: We evaluate all of the options to help you find the best solution for your children. Property Settlement: We provide expert counsel and strong advocacy in the complex areas of discovery, assessment and negotiation of personal and business assets. Child Support: We apply innovative solutions and strong negotiation techniques to the development, revision and enforcement of workable child support agreements. When agreement is not possible, we provide strong, persuasive representation in court. Spousal Support: We represent your interests for now and the future. Mediation: We assist you and your spouse resolve your differences without going to court.